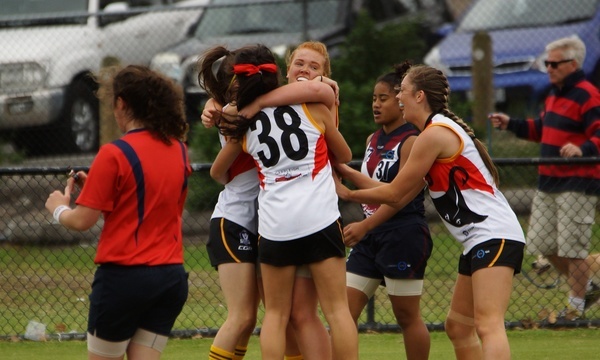 IN A grand final that had it all, to the Dandenong Stingrays Youth Girls went the spoils of summertime success. 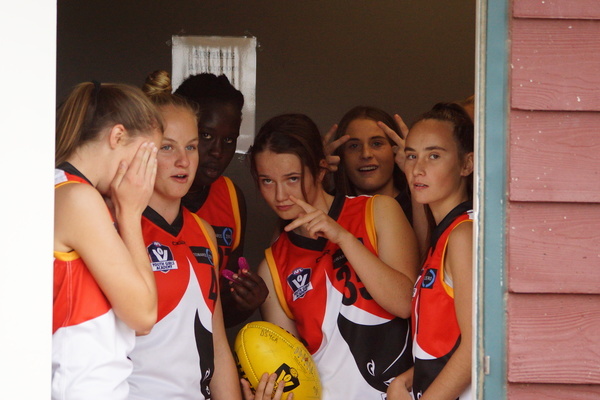 Dandenong went into the final Youth Girls Challenge clash of 2016 well-placed but slight underdogs against the undefeated Sandringham Dragons. It took everything they had just to make the grand final, after the Stingrays dug deep to take a come-from-behind semi-final triumph over Calder. 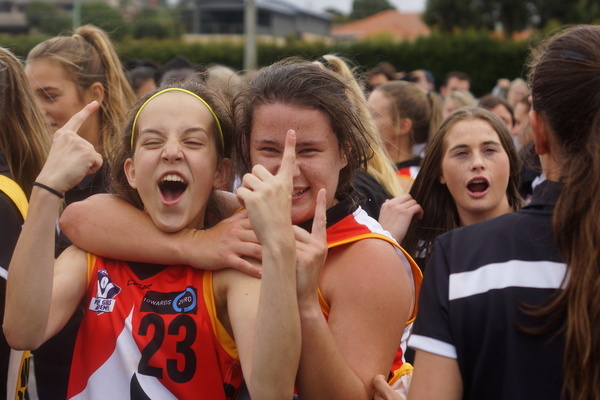 WATCH BELOW: Dandenong Stingrays belt out the song after their maiden Youth Girls premiership and an interview of captain Georgia Walker and coach Scott Gowans. 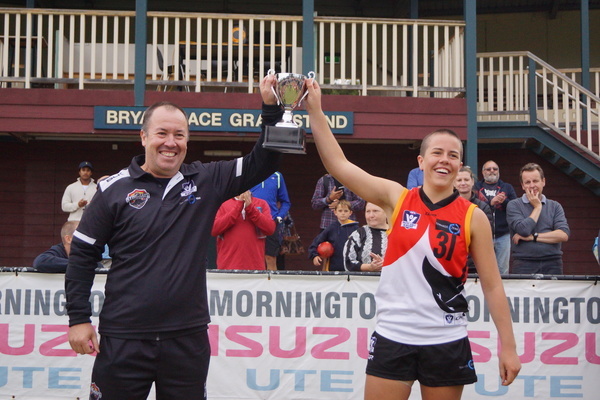 But this week the tables were turned; from the first bounce Dandenong surged in front and held on all day to bring the first football flag back to Shepley Oval since the old Dandy Redlegs days. 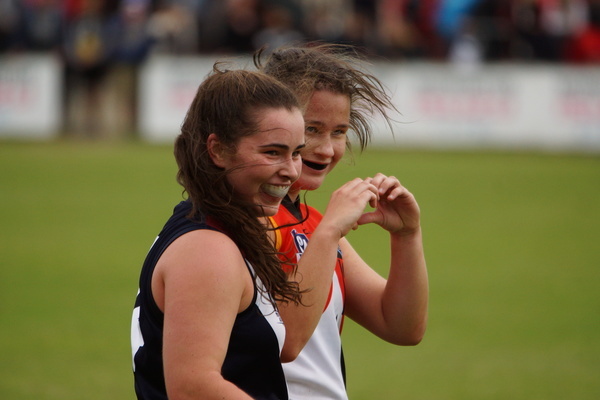 Led from the front by a full-ground performance off skipper Georgia Walker, who starred through the centre before shifting to centre-half-back for the final term to man the dangerous Dragons’ forwards, Dandenong had stellar contributions across the lines. 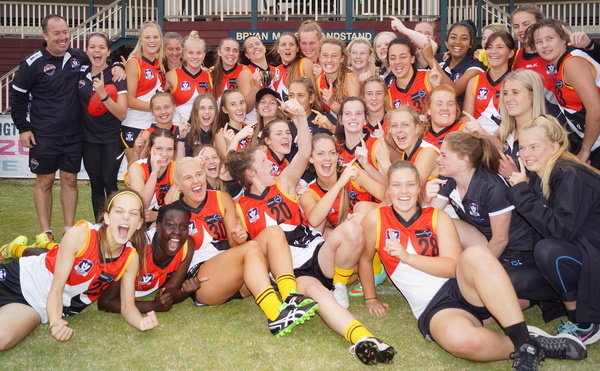 Three quick Stingrays’ goals in the first term left the Dragons chasing all day as Tyla Hanks, Imani Francis and Brooke Struylaart sunk the slipper into a few choice majors. Forward pressure proved critical; Dandenong’s tackling across the board left the Dragons unable to escape their defensive end. Hanks, Jas Grierson, and many others rode the Dragons into the ground time and time again. Kayla Ripari, Georgia Gee and Teagan Sheldon went in hard at every ball while Emily Browning, Suede Croad and Jess Provan provided huge run-and-carry across the flanks and beyond. But it would be hard to single out any Stingray who didn’t do her job when called upon as Dandenong had answers for everything Sandringham threw down. 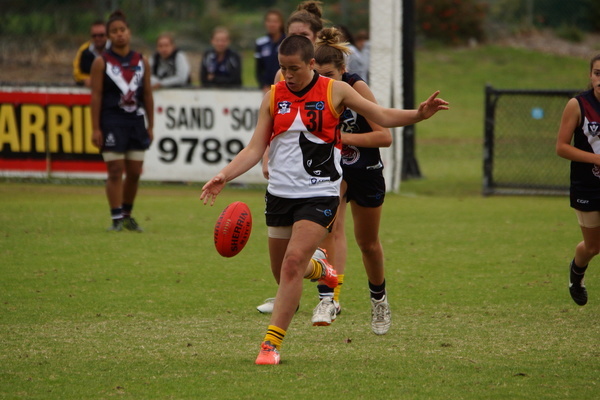 Dandenong set up the victory in the first half – booting most of its score with the first-term wind. The Rays went into the half with a 22-point lead and didn’t kick a goal afterwards, by then the damage was done. 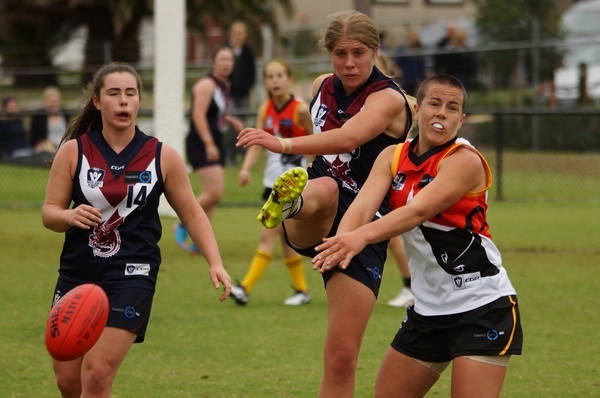 Sandringham toiled to keep the game moving, but couldn’t close the gap in the blustery, cold conditions at Frankston Park. Despite the topsy-turvy final half, as the Dragons put in for one last gutsy effort, the Stingrays emerged with a 4.8 (32) to 1.1 (7) winning score line to capture the first Challenge premiership. For Sandringham, Katherine Smith and Isabel Huntington were beyond exceptional and left it all out on the park in heartbreaking, but extremely commendable performances. Above all everyone left the ground smiling as the first thing both sides did was to shake hands, or more relevantly share hugs of joy and dismay equally. After that, in a show of great spirit, they took a combined sides photo to cap off the remarkably successful inaugural Challenge competition. 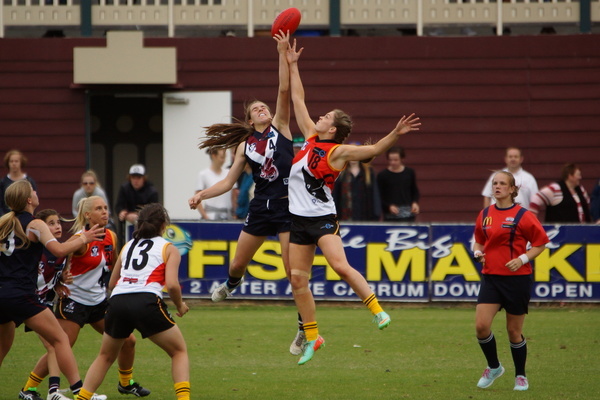 Dandenong coach Scott Gowans was amazed by the side’s adherence to its plans and structures and to keep the ball moving even when up against the twin challenges of the Frankston sea-side gale and the Dragons. But most of all, giving the Stingrays a premiership to put on the mantelpiece was the best part of all. Walker’s performance earned her the player of the match award as she signed off her Stingrays Youth Girls’ journey in the best way possible. 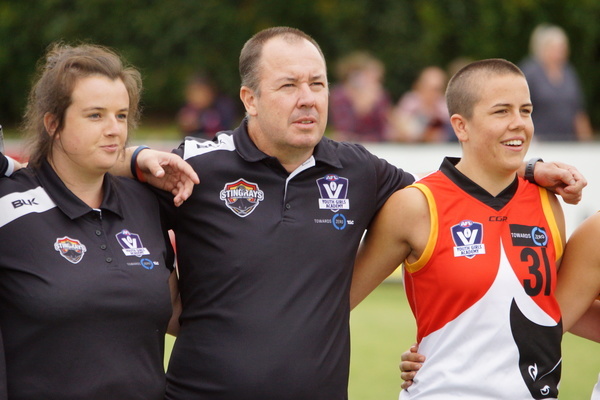 It is the first premiership won by a Stingrays side as Dandenong celebrates its 25th season in the TAC Cup. SANDRINGHAM Goal: K. Lynch. Best: G. Lagioia, K. Smith, I. Huntington, I. Quintal, L. Szigeti, B. Winbanks. 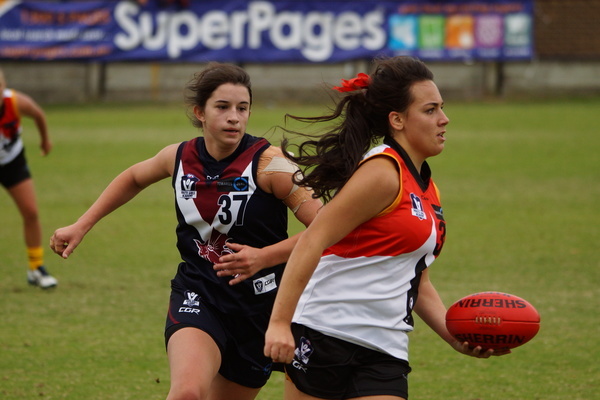 DANDENONG Goal Kickers: I. Francis, K. Ripari, B. Struylaart, T. Hanks. Best: G. Walker, T. Hanks, K. Ripari, B. Struylaart, G. Gee, B. Kennedy.